The world has already grown quite fond of the Volkswagen Tiguan, but the all-new 2018 Tiguan is a whole new experience. 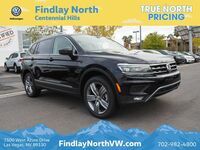 While the 2018 VW Tiguan does continue its legacy of being an affordable option for families everywhere, it also provides plenty of new reasons to get excited. 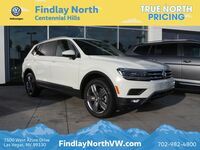 For instance, under the hood of the 2018 VW Tiguan lies a four-cylinder turbocharged and direct-injection 2.0-liter TSI engine that is eager to release its 184 horsepower and 221 pound-feet of torque. This strong and sturdy engine is reined by an eight-speed automatic transmission. The starting Manufacturer's Suggested Retail Price (MSRP) for the 2018 VW Tiguan is $25,345. For this price, the base S trim includes a wide variety of features such as a 6.5-inch touchscreen, Android Auto and Apple Carplay compatibility, a rearview camera, and much more. Just in case this isn't enough, the other trim levels—SE, SEL, and SEL Premium—all come with state-of-the-art additional features. Just a few of the available features are rain-sensing wipers, a hands-free liftgate, a heated steering wheel, and so much more. 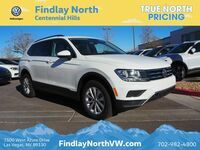 The Tiguan should be here by the end of Summer, so be sure to reserve yours today!